Improve footing on shake, shingle, composition and tile roofs with Korkers original lace and web designed sandal. 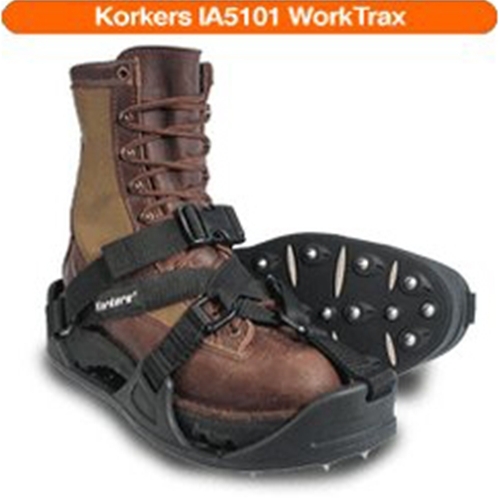 This light weight, flexible design fits easily over bulky, insulated boots or other special footwear.Regular spikes are included. Note: Replaceable spikes for increased longevity are available.